Pour l'anniversaire d'une personne très cher à mon coeur, j'ai réalisé cette carte très rapidement dans des tons pastels pour une carte toute douce. Je propose cette carte pour le challenge 78 de The Card Concept. This is my entry for the card concept challenge #78. It is a birthday's card for my aunt. I've used pastel tons as requested. Very pretty! 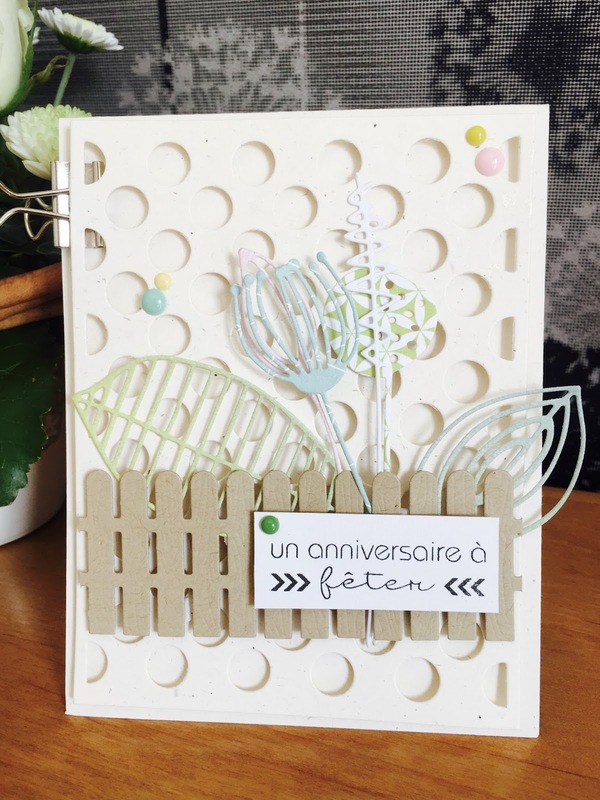 Love the die cut background as well as all of the other elements for this fun Clean and Graphic/Freestyle Collage birthday card and I am sure that your Aunt will be thrilled! 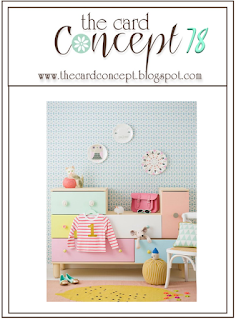 Thanks for sharing with us at The Card Concept- hugs and we hope you can play along again soon! Lovely card! All the die cuts are wonderful. Love all the texture that the different dies give your card. Beautiful! Thanks so much for joining us this week at The Card Concept. Absolutely gorgeous!!!! Thanks for joining us at the Card Concept!